Productivity tools for food safety professionals. Loupe is cloud-based, which results in increased efficiency and reduced cost. Services are rapidly deployed and ready for use in a matter of minutes versus the weeks or months it traditionally takes. Easy collaboration between employees, factories and suppliers will allow you greater agility, better decision-making and competitiveness. Simple and instant access to key information ensures that you always have right data to make the best decision. “Loupe is a simple but powerful tool that will streamline your food safety workflow — whether you are a small local brewery or an international food conglomerate”. The database is at the heart of Loupe. It contains all the information needed about your raw ingredients and processing steps to generate a compliant HACCP plan. Because of its crucial role in the workflow, we designed it to be a joy to use. Backed by 128-bit encryption, the same as banks, it is also super secure. Once data about your raw materials and processing steps are inside your database, making a fully compliant HACCP plan is only a few clicks away. And if that wasn’t impressive enough, when you update your data, your HACCP plan will be automatically updated too. How is that for productive? Know at a glance which suppliers are your best bet and which ones you should reconsider doing business with. Have a library of all of your supplier’s documents and have it automatically send them update request when it’s due. This is a game-changer. Thousands of ingredients and process steps are available to import from the Loupe database. They come with full hazard information and decision tree already completed. Automatic syncing of information within your HACCP plans when you update data inside of your database. Have a bird-eye view of important information concerning your suppliers. Such as performance, risk, documents awaiting and complaints. Rate and compare the performance of your suppliers. Track complaints and monitor improvements. Create audit-ready HACCP plans in seconds. Loupe automatically compiles information from your raw ingredients and process steps entries. From there, making HACCP plans for any combination of finished products is only a few clicks away. Boost data efficiency by sharing access to a common database. Send document requests. Your suppliers receive an easy drag-and-drop interface to answer your requests. Updates syncs automatically. 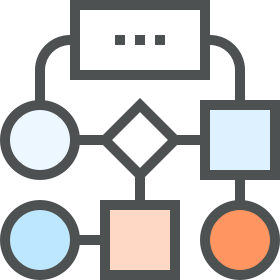 Easily create production diagrams that are automatically optimized as you add and edit processing steps. Automatic logging of all the changes made to your database and HACCP plans. Evaluate risk levels for all your suppliers and processing steps.